MEXICO—Pope Francis has named Bishop Carlos Briseño, OAR, as the new bishop of Veracruz, Mexico. At present, Msgr. Carlos is the Titular Bishop of Tricala and Auxiliary Bishop of the Archdiocese of Mexico. He was consecrated as bishop in 2006. Msgr. 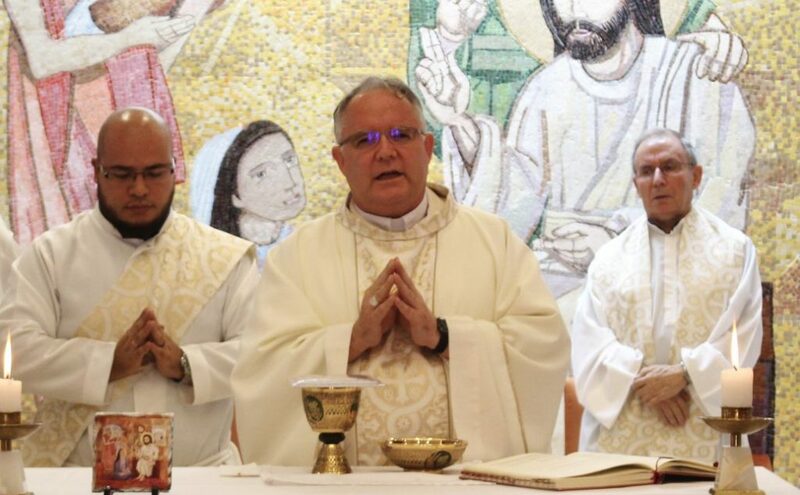 Carlos Briseño was named by Pope Francis as the new bishop of Veracruz after the resignation of Msgr. Luis Felipe Gallardo Martín del Campo, S.D.B., who has reached the age of 75. The Diocese of Veracruz is composed of the following towns: Veracruz, Boca del Río, Medellín, La Antigua, Manlio Fabio Altamirano, Soledad de Doblado, Cotaxtla, Alvarado, Amatitlán, Tlacotalpan, Carlos A. Carrillo, Cosamaloapan, Tres Valles, Tierra Blanca, and Tlalixcoyan. Veracruz has a special place in the history of the Augustinian Recollects. It was the port used by the Augustinian Recollect missionaries during their voyage from Mexico to the Philippines. Msgr. Briseño was born in Mexico on July 4, 1960. He entered the Order of Augustinian Recollects and was ordained as priest on September 27, 1986. He studied at the Pontifical Gregorian University in Rome and obtained a degree on Spiritual Theology. On May 20, 2006, he was appointed titular bishop of Tricala and auxiliary bishop of Mexico. He received the episcopal ordination on June 7. Bishop Carlos was also entrusted with the Cultural Heritage and Sacred Art sector of the Episcopal Conference of Mexico and he is currently the President of the Episcopal Commission for ecumenism and inter-religious dialogue.